What's Killing The Southern Resident Orca Whales? The population, referred to as the Southern Resident Killer Whales (SRKW) has been studied for decades in the Salish Sea as it feeds on salmon off the waters of Washington and British Columbia. 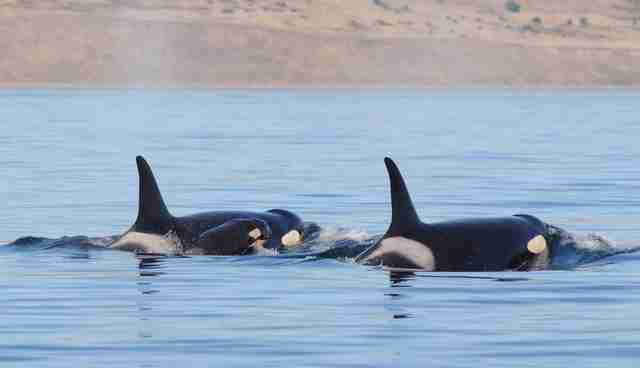 It includes the iconic 103-year-old orca dubbed "Granny," as well as countless others whom locals know by name. While the the whales took a major hit during the wild captures for marine parks like SeaWorld in the 1960s and 1970s, the population has been slowly recovering. But now, their numbers are hovering at 78 individuals, and things aren't looking good. The Center for Whale Research has been tracking each individual's age throughout the years, and reports that the population is now skewed toward older, non-breeding animals. Not only this, but severe water contamination may be causing health problems, especially for young calves. 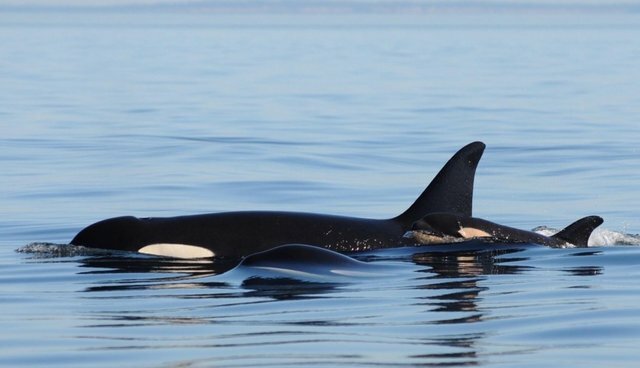 While mortality rate is relatively high in orcas younger than six months old due to predators, the most recent calves were born two years ago, in 2012. But, said Ken Balcomb, executive director of the Center for Whale Research, the real problem lies in the loss of the orcas' food source: Chinook salmon. While transient orcas (genetically distinct whales who travel through coastal areas) can eat both marine mammals and fish, resident orcas rely almost entirely on salmon. "When we get to the situation of an obligate salmon-eating population of marine predators - our southern resident killer whales - it should be obvious that if there are insufficient salmon for the whales' dietary needs, whale survival will be at risk, regardless of what the merchants of doubt have said," Balcomb told The Dodo. Recent political developments, like the emphasis on fish farming, energy development, export and mining have threatened this vital food source. Balcomb said that the only hope for recovery of the whale population rests with recovery of the natural salmon populations. And the way to do that, he says, is to vote for salmon-friendly policies - and to vote against measures that will hurt the salmon. "Voters in California are deciding to erect more dams and diversions of water for human use in a region of drought brought about by climate change, when we already know that dams are lethal to salmon populations...This system will not work - people must recognize the problem with honest evaluation, and vote to change it."